[165 Pages Report] The aircraft arresting system market was USD 749.5 Million in 2016 and is projected to reach USD 1,104.5 Million by 2022, at a CAGR of 6.38% during the forecast period. Factors such as an increase in spending on runway safety and the acquisition of aircraft are expected to drive the market. This report forecasts the aircraft arresting system market and its dynamics over the next five years, also recognizing market application gaps, recent developments in the market, and high potential countries. 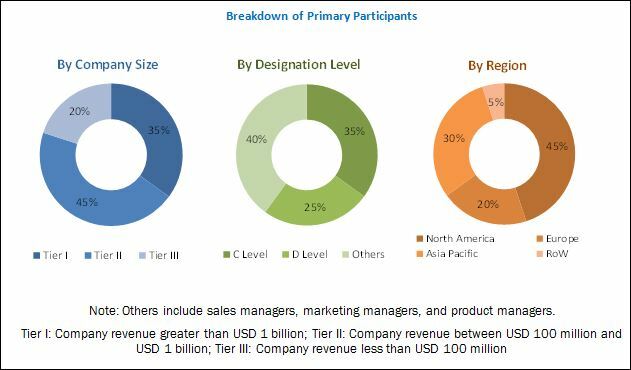 The objectives of the report are to study the factors influencing the market, map major industry players, and provide vendor analysis and competitor landscapes. The base year considered is 2016 and the forecast period is from 2017 to 2022. Market size estimations for various segments and subsegments of the aircraft arresting system market were arrived at through extensive secondary research and government sources (FAA fact sheet, ICAO) such as company websites, corporate filings such as annual reports, investor presentations and financial statements, and trade, business, and professional associations, among others. Corroboration with primaries and further market triangulation with the help of statistical techniques using econometric tools were carried out. All percentage shares, splits, and breakdowns were determined using secondary sources and verified through primary sources. All possible parameters that affect the markets covered in this research study have been accounted for, viewed in extensive detail, verified through primary research, and analyzed to obtain the final quantitative and qualitative data. This data is consolidated and added with detailed inputs and analysis from MarketsandMarkets, and presented in this report. The ecosystem of the aircraft arresting system market comprises manufacturers, raw material suppliers, distributors, and end users. The key end users of the market are commercial airports, military airbases, and aircraft carriers. Key manufacturers in the market are Zodiac Aerospace (France), General Atomics (US), Runway Safe (Sweden), SCAMA AB (Sweden), and Boeing (US). The aircraft arresting system market is projected to reach USD 1,104.5 Million by 2022, at a CAGR of 6.38% from 2017 to 2022. The growth of the market can be attributed to various technological developments taking place across the globe, which include the development of advanced arresting gears for Ford-class carriers, and mobile aircraft arresting systems, among others. The aircraft arresting system market has been segmented on the basis of type, end use, system, platform, and region. Among types, the Engineered Material Arresting System (EMAS) segment is projected to grow at the highest CAGR during the forecast period; the cable segment is projected to lead the market during the forecast period. Factors such as mandatory installation of EMAS at airports having runway safety length less than 1,000 feet and increasing spending on runway safety measures are expected to drive the market. On the basis of end use, the aircraft arresting system market has been segmented into commercial airport, aircraft carrier, and military airbase. The military airbase segment is projected to lead the market during the forecast period owing to the increase in procurement of jet aircraft and the construction of temporary runways. Based on system, the fixed system segment is estimated to account for a share of 87.4% of the aircraft arresting system market in 2017. Based on platform, the naval-based segment of the market is projected to grow at the highest CAGR during the forecast period. The growth of this segment of the market can be attributed to an increase in the number of aircraft carriers across the globe and replacement of conventional systems with naval-based aircraft arresting systems. North America accounted for the largest share of the market in 2016, followed by Europe and the Asia Pacific, respectively. The major challenge for aircraft arresting system manufacturers is the high cost. The cost of installing one EMAS bed in 300 foot *150 foot usually cost between USD 5 Million and USD 8 Million. 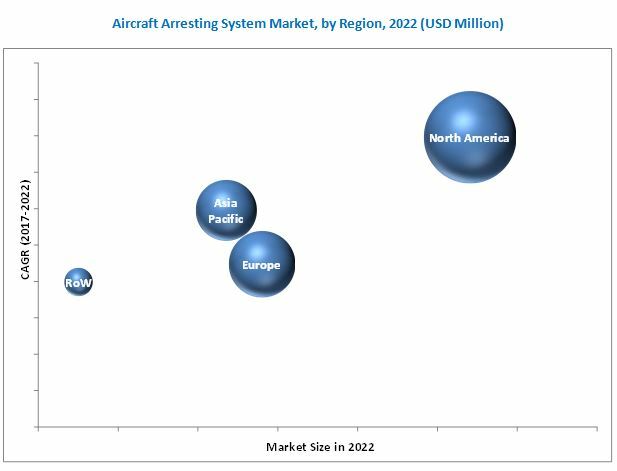 The major players in the aircraft arresting system market are Zodiac Aerospace (France), Runway Safe (Sweden), and General Atomics (US). Manufacturers mostly adopt new product launches as their key growth strategy. Zodiac Aerospace (France) is the leading company in the market, and caters to both, military and commercial segments. In the commercial segment, it commands over 90% of the total market share.